Shop Made in DC, located in Dupont Circle, is a playground for DC devotees, the creative community and those who love to shop local. This modern café and boutique is a just-launched collaboration between Neighborhood Restaurant Group (The Partisan, Birch & Barley and others) and Made in DC, a program of the DC Department of Small & Local Business Development dedicated to supporting and promoting businesses that make, design and produce in the District. Led by Stacey Price, founder of consulting firm People Make Place, whose warm smile and energetic spirit are enough to warrant a trip, Shop Made in DC is a vibrant space with wooden tables, industrial fixtures, repurposed medicine cabinets and red brick walls, an artfully curated space filled with DC-made art, stationery, home goods, food and clothing. The boutique will feature around 24 different artisans at a time, with a current lineup including pop art posters of the District’s neighborhoods by Anthony Dihle, baby swag onesies and bibs by Yinibini Baby sporting the DC flag and all-natural soy candle and beauty goods by Handmade Habitat. Chocolate lovers and coffee aficionados will love the Hot Commodity bar (think dark milk chocolate meets coffee beans) by chocolatiers Harper Macaw. Start your day in the café with Small Planes Coffee and Bullfrog Bagels, have a nomadic Tibetan lunch of Dorjee Momo chicken dumpling soup or vegan sunflower buns and Sichuan eggplant salad, and come back for Bluejacket’s Turning Road IPA at happy hour. Pick up a jar of Gordy’s Bloody Mary mix for the weekend and start (and finish!) your holiday gift shopping with unique goods by DC makers. 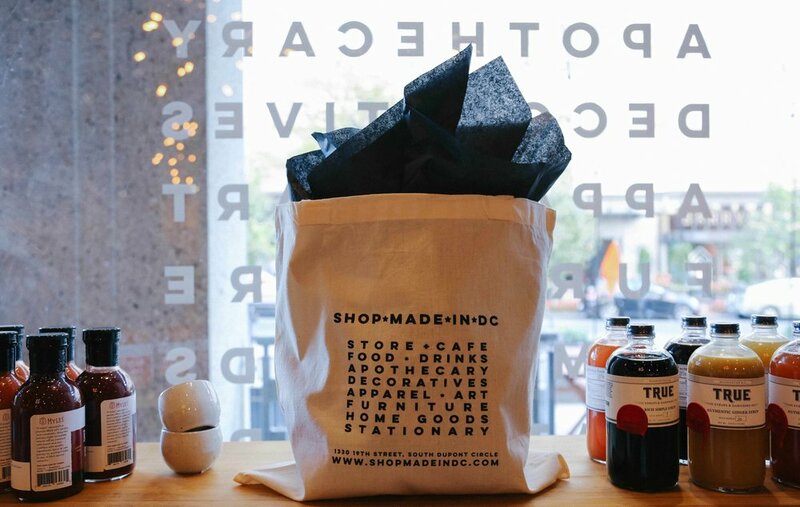 Shop Made in DC is not just another new addition to busy Dupont Circle or a great place to get your morning coffee on your way to the office. It’s more than that. 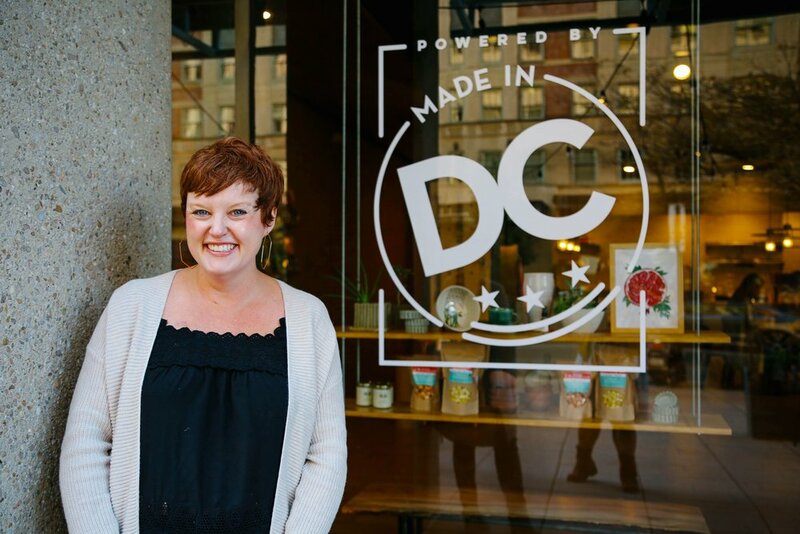 It’s intended to be a place that showcases the DC makers community, a must-visit place for tourists who want a unique keepsake, a place where locals can support homegrown small businesses, a place where makers meet and network with each other and say hello to the customers who take their wares home. Shop Made in DC, 1330 19th Street NW, Washington, DC 20036; shopmadeindc.com. Open Monday–Friday 7am–8pm, Saturday–Sunday 11am–6 pm. Woof. It's the Year of the Dog.